Come for a fitness and balance assessment. Are you as fit as our members? Come try out our strength training machines from Finland? Come and join our activity for the day - hip hop dance or bunne guitar jamming session? 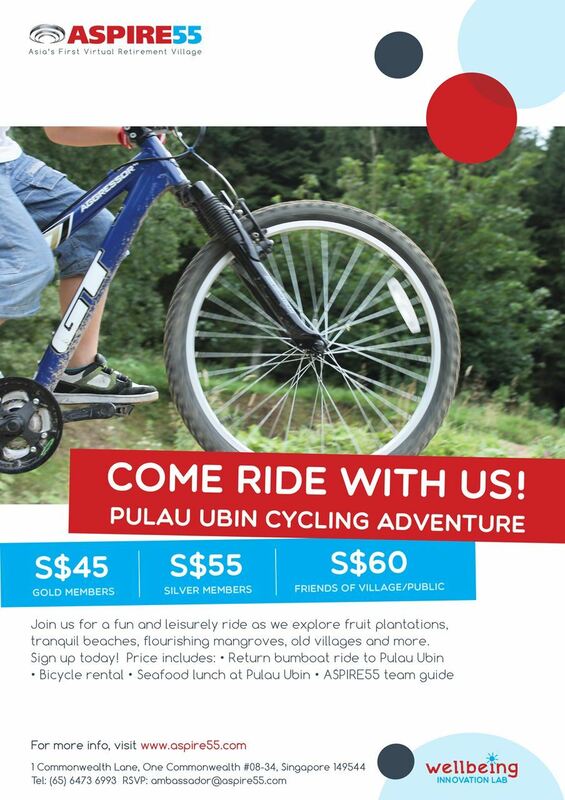 Back by popular demand, we are organising our 3rd cycling adventure to Pulau Ubin. Join us for a half-day cycling adventure, Chek Jawa (wetlands) walk and seafood lunch at Pulau Ubin. We have introduced a special programme for those of you who are not so confident about cycling on your own. ASPIRE55 will organise tandem riders to be your cycling buddy. If you would like to cycle on your own, we have that option too. Register by 7 May 2019 (Tue)! Limited spaces, limited to a maximum of 35 members only. Only 2 tandem slots available. Hurry. Transportation Option: Let us know if you would like us to coordinate to share a taxi ride for you from Tampines MRT to Changi with fellow participants. Please note that each participant is required to sign the Release of Liability form, which would be provided before the trip or on the day itself. Mark Your Calendar - All are welcome! We love our family makan sessions. We encourage everyone to bring a small dish to share. Home chefs are strongly encouraged. Please prepare a portion for 10 pax or less or SPONSOR A DISH prepared by ASPIRE55 team. 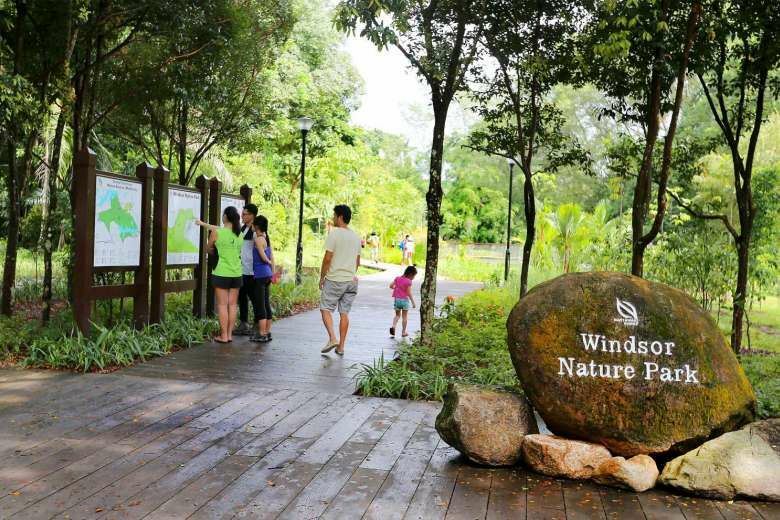 JOIN US FOR A REFRESHING NATURE WALK AT WINDSOR-MACRITCHIE TREETOP WALK! Register by 22 May 2019 (Wed)! 07 Nov 2018 ASPIRE55 Goes Off the Beaten Track! 23 Jun 2018 ASPIRE55 Dance: Let's do the Twist! 20 Jun 2018 Zumba Aerobic Fitness Tryout! 27 Mar 2018 ASPIRE55 Lunch-hour Talk: "Let's Talk about Diabetes and Novel Ways to Supercharge your Health!" 30 Jan 2018 ASPIRE55 Lunch Hour Talk "Know Your Carbohydrates"
07 Nov 2017 ASPIRE55 Lunch Hour Talk "What is Advance Care Planning?" 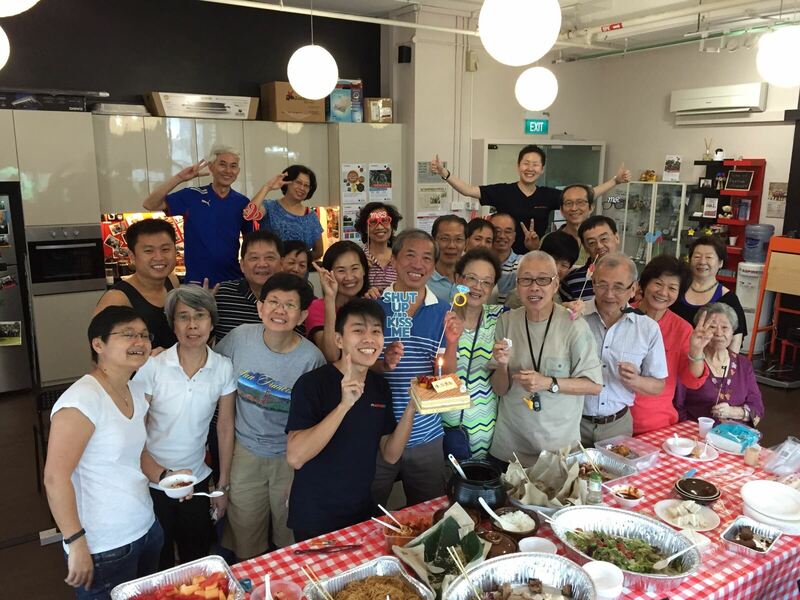 03 Oct 2017 ASPIRE55 Lunch Hour Talk: "Magnify the Therapeutic Power of Music"
25 May 2017 ASPIRE55 Lunch Hour Talk: "Is Exercise the Forgotten Medicine for Chronic Diseases?" 17 Jan 2017 Lunch Hour Talk - What happens to your brain with exercise? 25 Jan 2016 Megazip Adventure Park - Join Us for High Level Fun! 23 Nov 2015 Megazip Adventure Park - Join Us for High Level Fun! 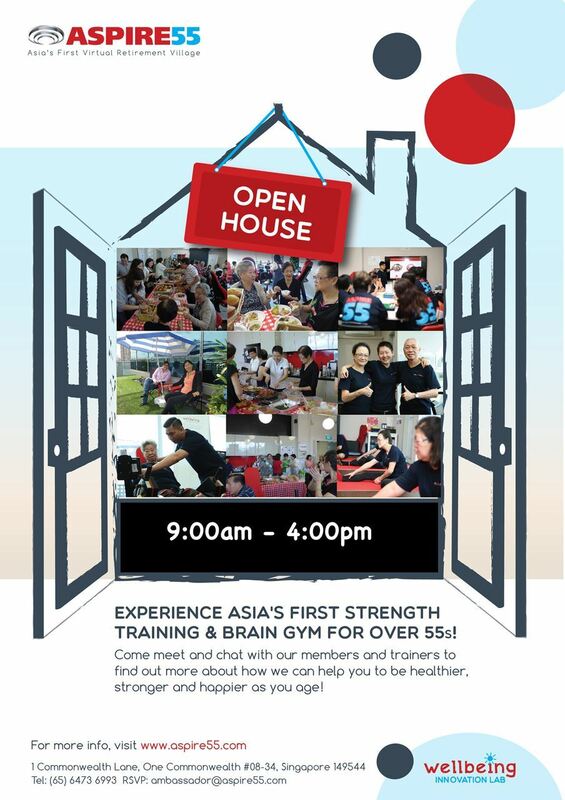 10 Jan 2015 ASPIRE55 Health Talk with Dr Carol Tan - "Living Longer Living Healthier"
13 Dec 2014 Wait List for 13 Dec Health Talk with Dr Carol Tan "Living Longer Living Healthier"
13 Dec 2014 Nestle Zest Health Talk - "Living Longer Living Healthier"
23 Aug 2014 ASPIRE55 Trial session 4:00p.m. 22 Aug 2014 ASPIRE55 Trial session 3:00p.m. 21 Aug 2014 ASPIRE55 Trial session 2:00p.m.